A Little bit of Lorene: Scouts, are you ready? Hi everyone! 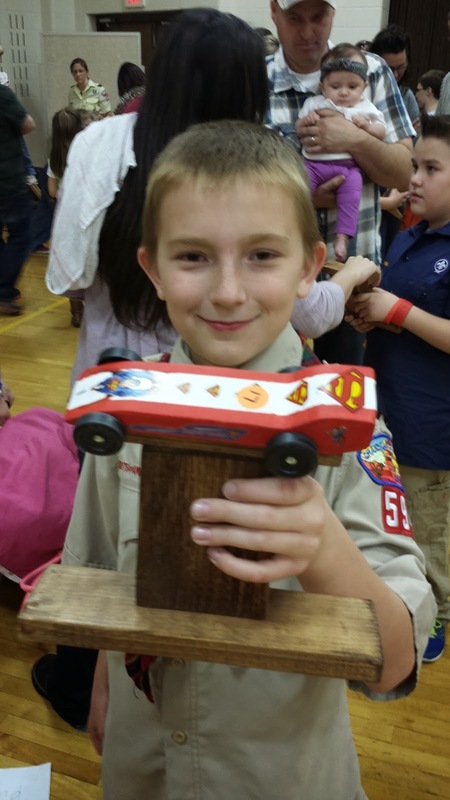 This week we were able to go to Andrew's pinewood derby. 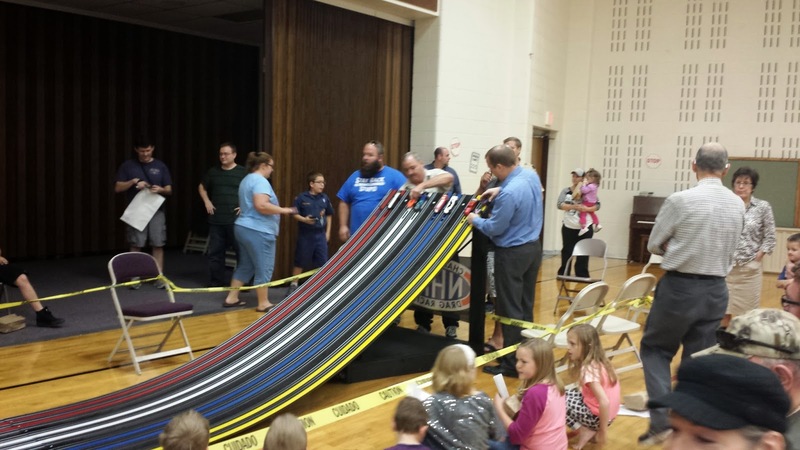 It has changed a bit from when our boys raced their cars. the announcer was a mixture of a nascar, WWW wrestling, and Scouting voice. He was great! Everything was tied to the computer. There were 35 boys. they all raced about 10 times. 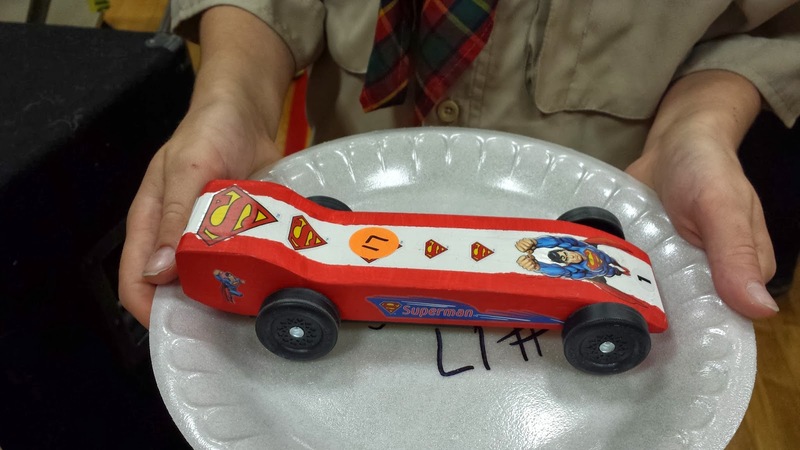 Here is Andrew's super Superman car. He got the award for the most stickers used on a car. He placed in the top 10 of the racers. All the scouts made their stands. Andrew had a great time. 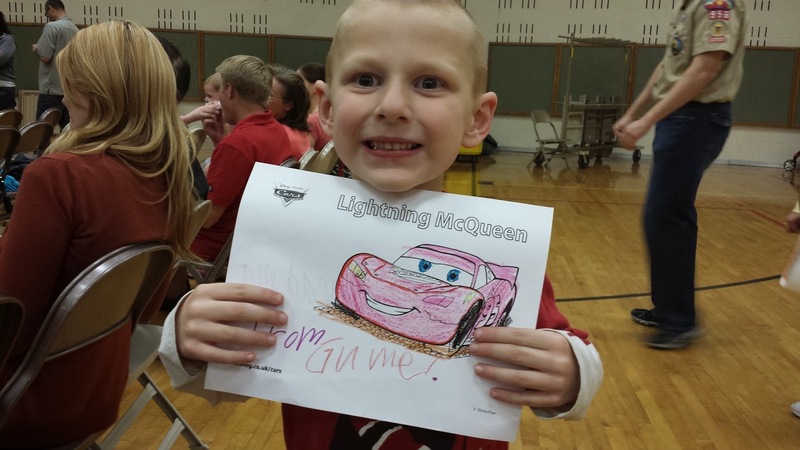 While the scouts were racing, Gunner was drawing pictures and bringing me water and popcorn. He is such a sweetie! 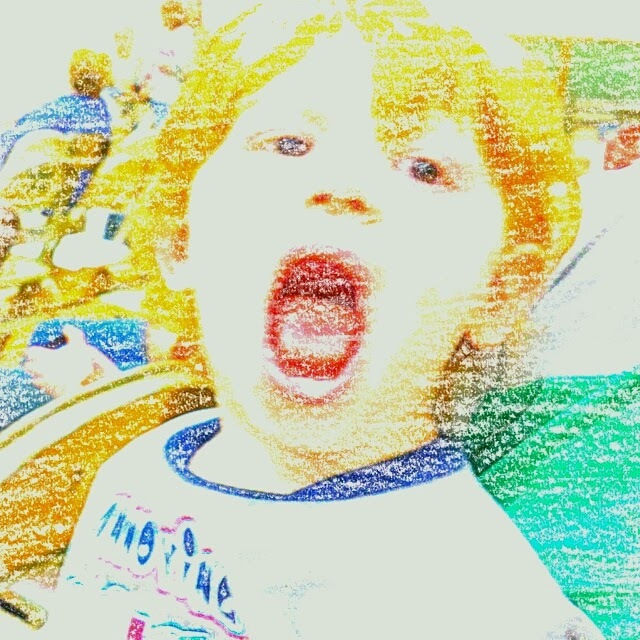 Someone suggested Sketch guru (for android) to do fun things with my pictures. This is a picture of Hudson. 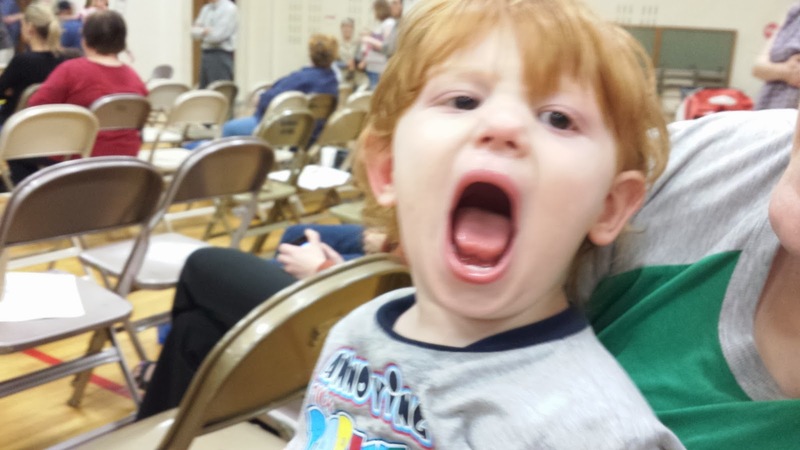 His mom had just removed his binky. This is the crayon feature. Pretty cool!